Professor Joseph Weyers’ study “English shop names in the retail landscape of Medellín, Colombia” has just been accepted for publication in the journal English Today. 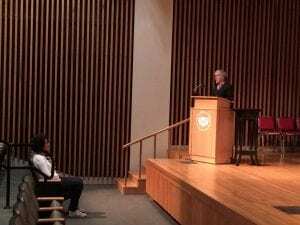 Dr. Sarah Owens was hosted by Coastal Carolina University to discuss her latest research. It was a busy weekend for the German and Russian Studies Program at CofC! 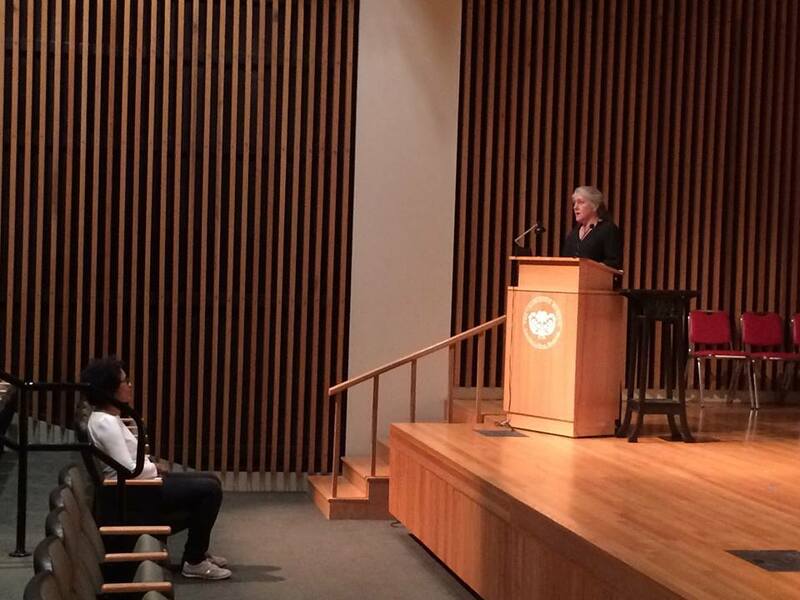 On Friday night at 6pm, Afro-German filmmaker Mo Asumang visited campus for a screening of her film Die Arier (The Aryans) at the Wilcox Auditorium of the Charleston Museum. 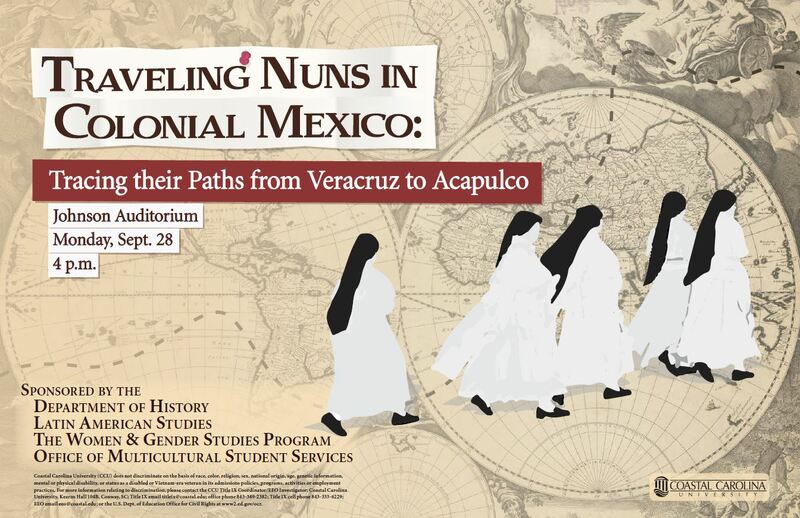 A large audience came and the film and post-film discussion with the director were inspiring. 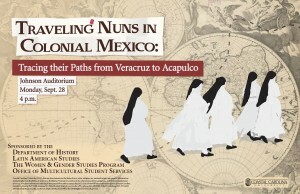 Special thanks to Dr. Nancy Nenno, who invited Ms. Asumang and organized the event! 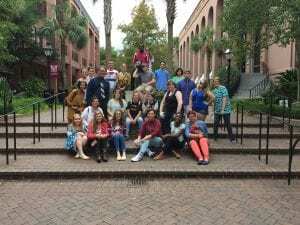 Then, on Saturday morning at 10am, 30 high school students of German from four local high schools descended on campus for the first annual “Lowcountry German Day,” hosted by Dr. Morgan Koerner. Students from Wando, West Ashley, Summerville, and Ashley Ridge High Schools received a German lesson on Berlin and Bamberg, witnessed a panel discussion on study abroad by three German majors, and took a tour of the campus. Special thanks to local High School teachers Kelli Akers (West Ashley), Ramona Montjoy (Ashley Ridge), Kelsey Cater (Summerville), and Stephanie Mignone (Wando), as well as German Majors Matthew Orvin, Therese Spaseff, and Kevin Tully! Local High School Students on campus for Lowcountry German Day! Professor Luci Moreira’s book review of Leslie L. Marsh’s Brazilian Women’s Filmmaking: From Dictatorship to Democracy was published in the September 2015 issue of Hispania. 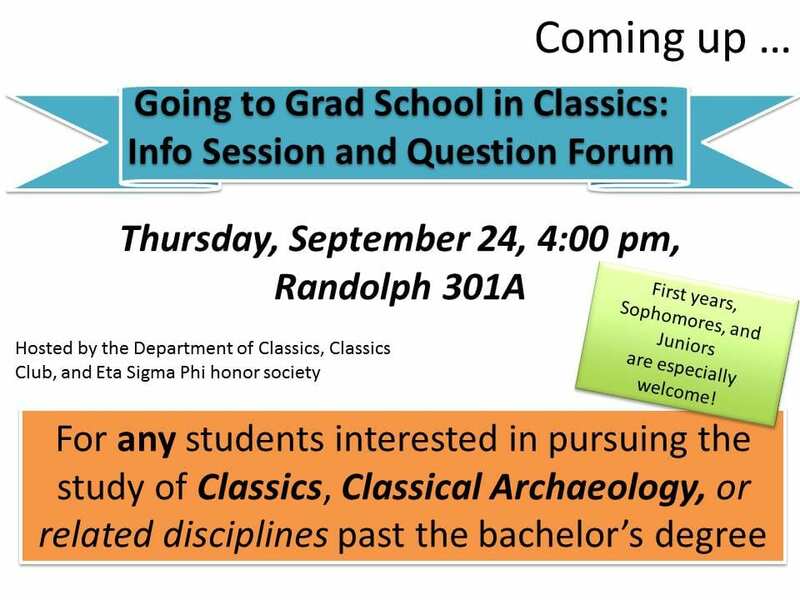 On Thursday, September 24th, 4:00pm (RAND 301A), the Classics Club is sponsoring an informational session for anyone interested in graduate school for Classics, Classical Archaeology, and related disciplines. 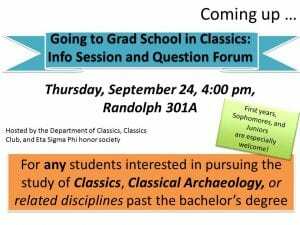 There will be time for questions and answers! 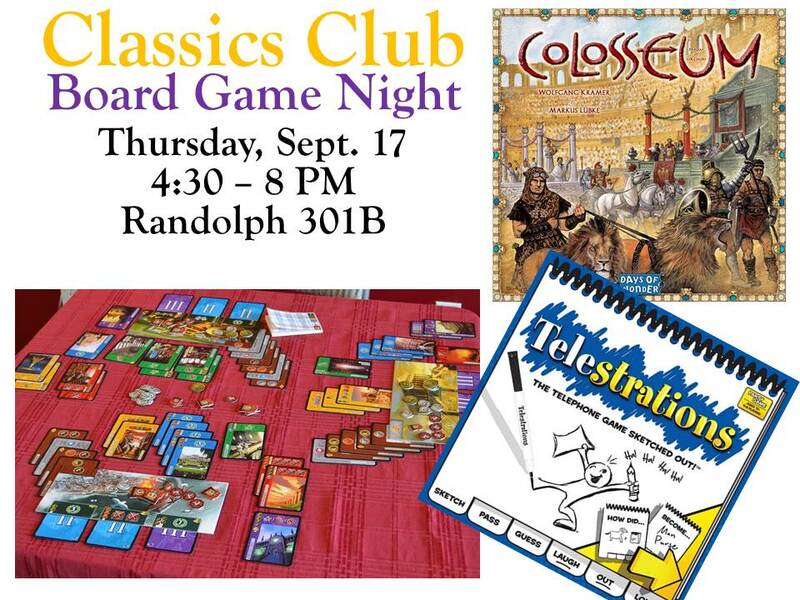 The next meeting of the Classics Club will be Thursday, September 17 (4:30-8:00 PM) in Randolph Hall 301B. 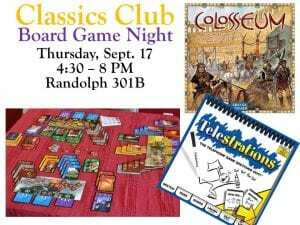 Come join us for Classics Board Games!